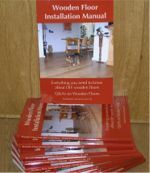 All three packs also contain parquet adhesive, notched trowel and trowel knife, wood-filler, oil/polish applicator and the "7 easy steps" guide. For some "restoration" jobs the above packs contain more products than needed. For instance, when you don't have any missing or loose blocks the adhesive is not needed. And sometimes there is even no need to sand your floor, making the wood-filler superfluous too. If that's the case we have make life easier for you by creating 2 brands new Care/Repair Kits - more Kits might follow in the near future. We had a close look at our sales statistics to see which products were frequently combined in orders through our secure webshop, and simply put them in one box - to make it easier for you if you are planning a sort like DIY-Repair project. The EcoLine Cleaning Kit contains all the EcoLine products you need for regular and thorough maintenance: Magic Cleanser, wash care and the wax-care spray. The Intensive Cleaning/Repair Kit are ideal for those floors which have been covered with carpets for a long time. The Magic Cleaner - dilute with water - will remove all the dirt, grime and even old wax/oil layers. Once this application has dried - do read and follow the instructions of use - it is simply a matter of applying Premium HardWaxOil on your floor. No need for sanding at all! In the Care/Repair Kits category you will also find the Floor Care Set: 1 ltr Wax-Care and 1 ltr Wash-care for regular maintenance for your wooden floor to keep it healthy, durable and beautiful. The above Kits came to be after researching our own data, but of course it is possible we are overlooking something you are in need of. That's why we said: more Kits might follow. If you think there is a specific combination of products to care/repair/restore your wooden floor which is now missing in our secure webshop - simply tell us now! Due to popular demand, the buffing block is back! The most effective and eco-friendly way to maintain your natural wooden floor the easy way! Due to popular demand it is back in our secure webshop. We - Wood You Like Ltd - seem to be the only company supplying this great and handy tool in the U.K. We therefore have to add international freight to the standard price of the buffing block and since it has a weight of 7 kg these add up, but nonetheless it is still cheaper than an electric household floor polisher. Real natural wooden flooring are an asset to any home. A valuable asset you want to keep healthy and beautiful. Therefore any wooden floor, no matter what type of finish it has, needs maintenance, only once every 5 - 6 months. This way you make sure your floor not only stays protected against dirt and drips but becomes even more beautiful with every maintenance treatment it receives. Maintenance is made even easier with the modern liquid polishes, waxing your floor on hands and knees is a thing of the past! You sprinkle the polish over the floor and with an applicator with woolen sleeve you spread it out. The best, long lasting result comes when you use our genuine 'old-fashion' buffing block to polish the floor. The buffing movement spreads out the maintenance product more evenly and enhances the appearance of your floor by feeding both the wood and the wear & tear layer. Our genuine cast-iron buffing block weighs 7kg! Heavy enough to make light work of the polishing. Our genuine buffing blocks are in fact cheaper and more effective than any of the electric household floor polishers (buffing machines) we've come across. These machines are just not heavy enough to do the job properly. They just skim over your floor, where the pads soak up more of the polish than they work into the wood. The 7kg cast-iron block with natural bristle brush doesn't need electricity - just a broom stick, doesn't have cables to trip over or to get smeared under with polish. Just a simple cast-iron block moving to and fro over your floor - giving you some exercise at the same time too! As said before: cheaper and more effective! Buy now and see the result immediately, your wooden floor will truly love you for it.